Gold on Gold Pinwheels - Set of 6 Beautiful Double Spinners - Wedding, Anniversary, Shower, Birthday - Just Because! Announcement Welcome to our shop. We love creating new and unique handmade designs to enhance your event or to work with the artist in you! Our shop includes beautifully handcrafted items, inspirational kits to help you get started as well as fine paper supplies for all your projects. 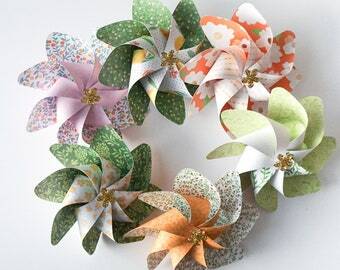 We put our love into fine paper craft items so that you can present the ones you care for with unique, handmade pinwheels, flowers, cupcake toppers, cards, tags and other paper items, made by us or by you!! If you have a specific Fine Paper Craft need for an event or gift, please contact us at finepapercrafts [!at] gmail.com. Welcome to our shop. We love creating new and unique handmade designs to enhance your event or to work with the artist in you! Our shop includes beautifully handcrafted items, inspirational kits to help you get started as well as fine paper supplies for all your projects. We put our love into fine paper craft items so that you can present the ones you care for with unique, handmade pinwheels, flowers, cupcake toppers, cards, tags and other paper items, made by us or by you!! Flower Pinwheels Navy Blue Prints - Set of 6 Beautiful Double Spinners - Wedding, Anniversary, Shower, Birthday - Just Because! Flower Pinwheels Garden Prints - Set of 6 Beautiful Double Spinners - Wedding, Anniversary, Shower, Birthday - Just Because! Flower Pinwheels Wild Flower Prints - Set of 6 Beautiful Double Spinners - Wedding, Anniversary, Shower, Birthday - Just Because! Flower Pinwheels Petal Prints - Set of 6 Beautiful Double Spinners - Wedding, Anniversary, Shower, Birthday - Just Because! Flower Pinwheels Beautiful Floral Prints - Set of 6 Beautiful Double Spinners - Wedding, Anniversary, Shower, Birthday - Just Because! Flower Pinwheels Beautiful Floral Prints - Set of 5 Beautiful Double Spinners - Wedding, Anniversary, Shower, Birthday - Just Because! Flower Pinwheels navy and Pinks Prints - Set of 6 Beautiful Double Spinners - Wedding, Anniversary, Shower, Birthday - Just Because! Flower Pinwheels Purples and Reds Prints - Set of 6 Beautiful Double Spinners - Wedding, Anniversary, Shower, Birthday - Just Because! Tropical Pinwheels Floral Prints Pineapples - Set of 6 Beautiful Double Spinners - Wedding, Anniversary, Shower, Birthday - Just Because! Flower Pinwheels Country Floral Prints - Set of 6 Beautiful Double Spinners - Wedding, Anniversary, Shower, Birthday - Just Because! Flower Pinwheels Bright Floral Prints - Set of 5 Beautiful Double Spinners - Wedding, Anniversary, Shower, Birthday - Just Because! Flower Pinwheels Bright Floral Prints - Set of 6 Beautiful Double Spinners - Wedding, Anniversary, Shower, Birthday - Just Because! Teal and Green Pinwheels - Set of 6 Beautiful Double Spinners - Wedding, Anniversary, Shower, Birthday - Just Because! Teal and Blue Pinwheels - Set of 6 Beautiful Double Spinners - Wedding, Anniversary, Shower, Birthday - Just Because! Flower Pinwheels Pinks Peaches Burnt Orange - Set of 6 Beautiful Double Spinners - Wedding, Anniversary, Shower, Birthday - Just Because! Flower Pinwheels Greens and Burnt Orange - Set of 6 Beautiful Double Spinners - Wedding, Anniversary, Shower, Birthday - Just Because! THESE ARE AMAZING!!!! We had custom pinwheels made and they are amazing!!! I could not recommend these enough if you are looking for unique decorations that are no terrible for the environment you have found them! One top of it all they were made very quickly and in my hands in days. Fast shipping. 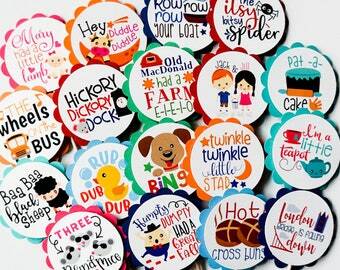 Can’t wait to use these for my son’s first birthday party. Absolutely adorable.